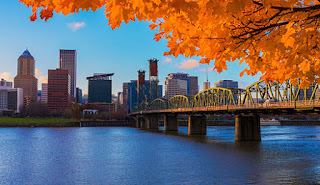 Within one mile, Portland's Bank of America, U.S. Bancorp, and Wells Fargo have branches holding $10.6 billion in deposits. If even a small fraction of Portlandians were to move their deposits from these corporate banks — (don't worry, they won't even notice) — next door to Capital Pacific Bank, this fine community bank would grow exponentially. Meanwhile, if Portlandians were to trade in any U.S. Bancorp stock they may own — (expensively trading as high as 293% of tangible book value) — for CPBO stock (cheap at 101.3% of book value) — they could grow their own wealth exponentially right along with Capital Pacific. Wouldn't that be cool? Disclosure: As of this posting, I own shares of CPBO and may subsequently either dispose of them or purchase more. Pacific Continental, Eugene, OR (PCBK). Deposits in PCBK's two branches combined fall short of those held in CPBO's one branch by 50%. Umpqua Holdings, Portland, OR (UMPQ). CPBO's one branch bank has more deposits than 21 of UMPQ's 22 Portland area branches! Washington Federal, Seattle, WA (WAFD). CPBO has twice as many deposits in its one-branch bank as WAFD has in two. 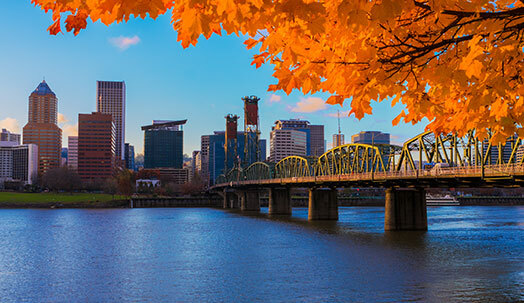 With a strong niche in lending to sustainable businesses and non-profit organizations underserved by America's corporate banks, CPBO is filling a real need and making a real difference specifically for Portland. For doing this work, CPBO's Mark Stevenson receives less than 2% of the annual compensation a typical corporate bank CEO draws every year. Would you rather have your deposits support Mark, or contribute to the $14M in compensation Bank of America's CEO Brian Moynihan gets (for doing things like damage control for the company's illegal activities). Bottom line? Portlandians can feel great about moving their deposits and investments over to CPBO. Since peaking at nearly 6% at the end of 2010 (when CPBO had a small yearly loss), NPAs have been in steady decline to the current 1.6%. CPBO can boast three years straight of quarterly profits, profits are growing, and in Q4 2013, ROE surpassed 11%. Bottom line? Portlandians can reasonably expect CPBO stock will eventually trade at substantial premiums to book value.